Who: The Health & Wellness Coalition Food Policy Committee and ICT Food Circle, local food producers, local farmer’s markets, and anyone interested increasing the demand for locally produced and healthy foods in the greater ICT area can participate. What: #ICTYourPlate – join the movement on Instagram, Facebook, or anywhere else you might use a hashtag! When: Use #ICTYourPlate all year long to promote your local food products, purchases, or events! Where: Anywhere around the ICT area. Why: Help us generate a movement that encourages and reminds consumers to eat and shop locally produced foods while also creating a recognizable image/logo that shouts to the community #ICTyourPlate: add locally grown, raised or produced foods to your plate. How to get involved: Join the movement, share the excitement, use the hashtag on social media, have a selfie booth and encourage the use of the hashtag, the possibilities are endless! Share your shopping finds, meals, or recipes on social media, using the hashtag #ICTYourPlate. Be sure to call out the local farms and producers featured on your plate! To learn more about local food and what is available locally, follow ICT Food Circle on Facebook, Instagram and join the Facebook Group. Are you a local food producer or business? Join the promotion! 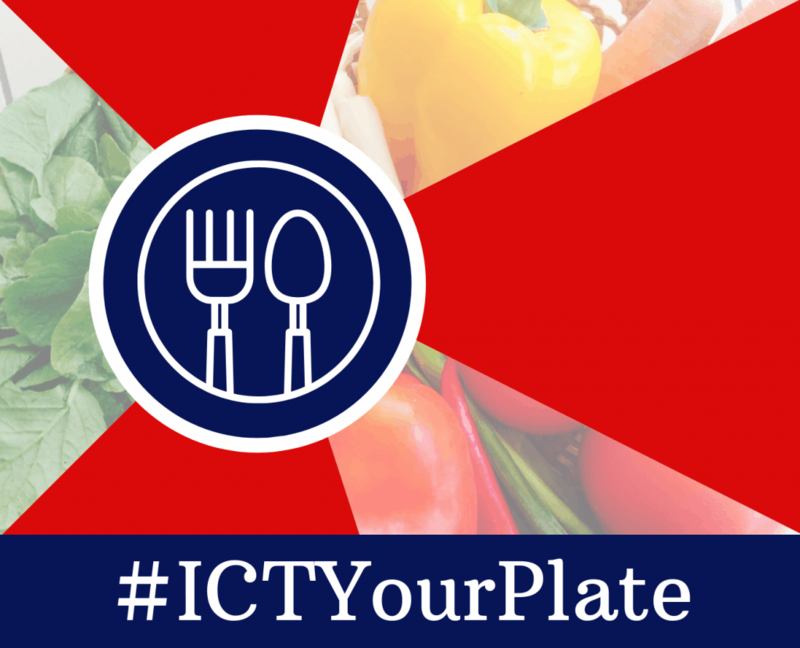 Promote your produce, meats, baked goods, canned goods, and more by adding the hashtag #ICTYourPlate to your social media marketing. Add or update your listing to the ICT Food Circle Local Food Directory to help potential customers find you! Contact Rebecca McMahon if you would like a full kit of ICT Your Plate materials and templates.